As much as I really love making cocktails, especially when friends are coming over, I would be lying if I told you that I bought special fruit and spent a lot of time mixing up something unique on an everyday basis. I like the ‘occasional’ cocktail when I’m here by myself but even then I keep them simple. The Gimlet cocktail is a favorite; the botanicals of gin mix perfectly with a bit of lime juice and sugar…and that’s all it is! Unlike some other cocktails with a fruit component, it’s not super sweet but a bit bracing and I enjoy that. 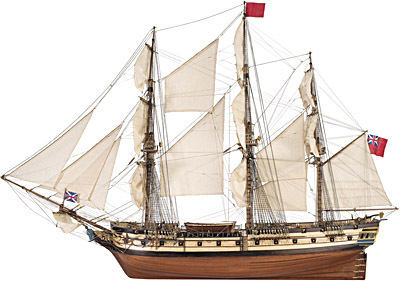 Common thought is that much like the Gin and Tonic came into being when English sailors added gin to tonic in order to make it more palatable when the quinine in tonic was used to prevent malaria, the Gimlet may have also originated aboard naval vessels when sailors added lime juice to gin to avoid the dreaded scurvy which came about from a lack of Vitamin C. Scurvy killed three million sailors in the three hundred years between the end of the 15th century and the end of the 18th century and many ships lost 70% of their men due to it alone. When sailors eventually knew what sorts of things cured scurvy; they realized the value of fresh produce; especially the juice of lemons, limes and oranges. Mixing the tart lime juice with gin would seem a foregone conclusion; adding a bit of sweetness once that cocktail took on a life onshore seems a no-brainer too. The gimlet is actually a small hand drill that is used to drill holes in barrels to release what is inside. That work of piercing something is reflected in the phrase ‘gimlet-eyed’ and this cocktail was also once made with the notion of being a short, sharp drink that was finished more like a shot. The craft bar-tending craze has seen a shift from the neon green (and high fructose content) of Rose’s Lime Juice go the way of the dinosaur with fresh lime juice and simple syrup taking it’s place. Some purists insist they be made with Rose’s but I’m not that pure…I prefer the fresh juice; I’m like those sailors, I’ve always got some limes on hand! I used a bottle of Caorunn Gin for this cocktail; it has a unique set of botanicals that I thought would be a great balance to this cocktail including rowan berry, heather, bog myrtle, dandelion and coul blush apple. Caorunn is a handcrafted and small batch distilled gin from Scotland that uses pure grain spirit, not molasses like most gins, to ensure high quality. The pure grain spirit is vaporised through their Unique Copper Berry Chamber that was made in the 1920’s, when gin was produced with a slow process to enable enough time to infuse the subtle flavour of the botanicals. Botanicals are spread on trays, allowing the grain spirit vapour to meet the botanicals on a largest possible surface during the infusion process and to pick up the aromas and flavors of the botanicals. 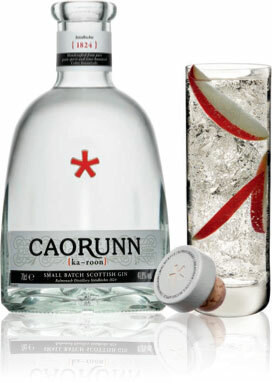 Caorunn draws on centuries of distilling expertise, on the pure Scottish water provided by the surrounding springs and the time-honored Celtic botanicals mentioned above which are characteristic plants of the surrounding hills of Balmenach Distillery. I am fortunate to be asked to sample a lot of different products and this was a great find; we loved it. These cocktails are easy and refreshing and I bet you’ll love them too! Chill a cocktail glass and rim it with a lime wedge. Combine the gin, lime juice and simple syrup in a shaker filled with ice. Shake vigorously until the shaker is ice cold. 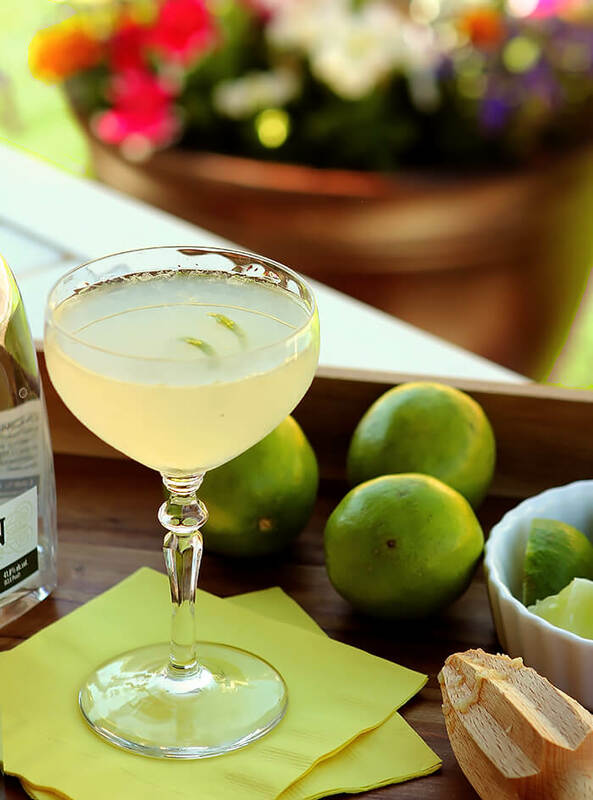 Pour into the chilled glass and garnish with a lime twist. I was provided with a sample bottle of Caorunn Gin however all commentary is my own. I love them…glad you concur! I love Gimlets but have never tried one with gin. I’ve always had vodka gimlets. I like them with Rose’s but when I have fresh limes in the house it’s a treat to have a Gimlet. The recipe is so simple, yet tasty. I’ll definitely try one with gin next time I make one. If you like gin bet you’ll like it; the botanicals are a nice mix with the lime. Always Love a classic! Looks so refreshing! So easy too Ansh; we’ll have to make them next time.